Google has a feature I never use named Google Dictionary. 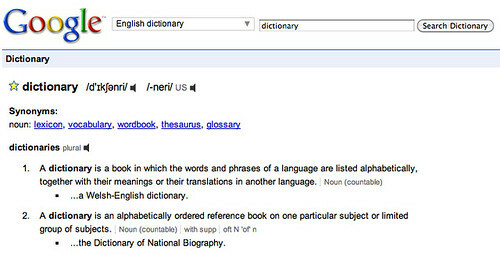 In the Google Dictionary, users can "star" words to be put in a special list for later. Hi all, thanks for reporting this and sorry for being a little late to the party. This issue is being investigated, and I'll circle back when it's fixed. It's great to be reminded how useful Dictionary and its features are to our users! Hours after that message from Emmit, the bug was fixed. I should note that there is still a minor bug in this staring feature. The stars don't stay on when you go back to that word. By that I mean, if you star a word, and then search for that word again, the star is white, and not highlighted yellow.